"in a time of universal deceit, speaking the truth becomes a rebellious act"
Glasgow born Janis Sharp is a musician/composer and writer of childrens books. She is a foster carer and has fostered some 50+ children over the last few years.She wrote and directed her first film in 2001 just prior to her whole world being turned upside down. Her son, who suffers from Aspergers Syndrome, an Autisic Spectrum disorder, had a lifelong obsession with UFO's and while searching for evidence thereof, wandered into NASA and Pentagon computers. I say wandered because, unbelievably, there were no passwords or firewalls on thousands of machines on these systems, a point which he brought acutely to their attention by leaving many notes to that effect. He was just looking. He did NO damage..... Illegal?...yes..... Stupid ... also yes. But it is NOT extraditable and carried only a six month (probably non-custodial) sentence here in the UK. The US waited over three years for this government to implement the one-sided betrayal that is the extradition treaty where Any one of us can be dragged off to an American prison without a scrap of evidence and without any UK trial. (To extradite an American requires contestable evidence because unlike the UK, America protects its citizens.) Their intention was to imprison him for up to SIXTY YEARS!. When a previous UK Home Sectretary's son was caught selling drugs ( a much more serious crime many would say) he was let off with a caution. For ten years Gary McKinnon became the unwilling focus of Anglo-US diplomatic relations. A computer systems analyst living in London, he firmly believed that the US government was withholding vital information about the presence of UFOs. The lives of he and his mother Janis changed dramatically one morning in March 2002 when Gary phoned to tell her that he had been arrested and spent four hours at his local police station being interviewed about hacking into US government computers. Paul J McNulty, the then U.S Attorney for Virginia, announced that Gary was indicted in Alexandria, Virginia on November 12th that year, and simultaneously announced that the United States intended to extradite him. Two years later, on 7 October 2004, the US government filed a request for Gary’s extradition and on 7 June 2005 he was arrested. 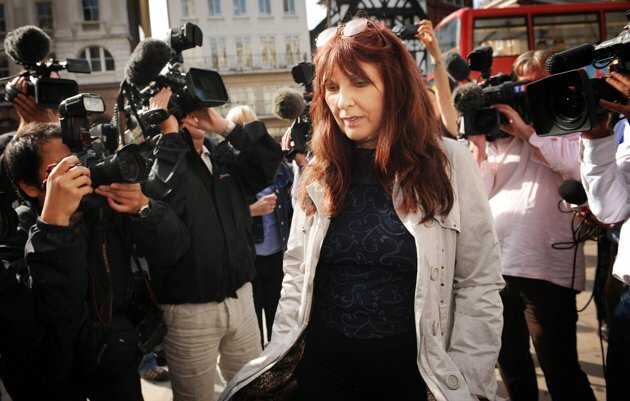 Extradition to the US seemed certain and so, fearing that Gary would take his own life rather than face being taken away to face seven counts of up to ten years each, Janis’s extraordinary battle began. 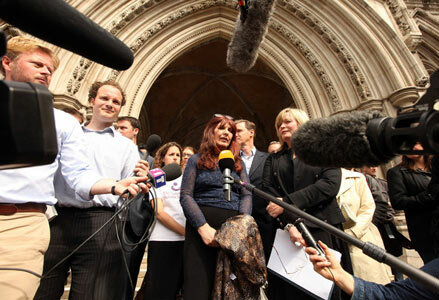 Janis Sharp spent the following ten years and seven months fighting her son’s extradition. 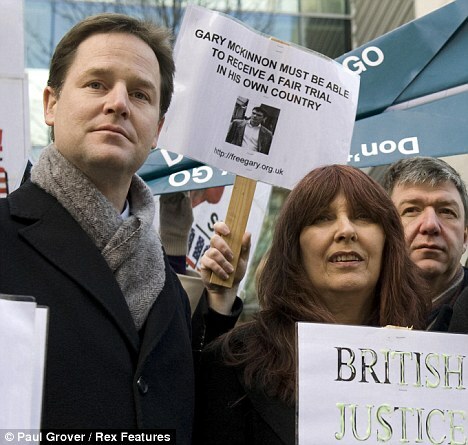 In October 2012 she finally won her battle and in December 2012 the Crown Prosecution Service announced that Gary would not face charges in the UK either. These two announcements were a spectacular victory for Janis and spoke volumes about her relentless fight to save Gary’s life. 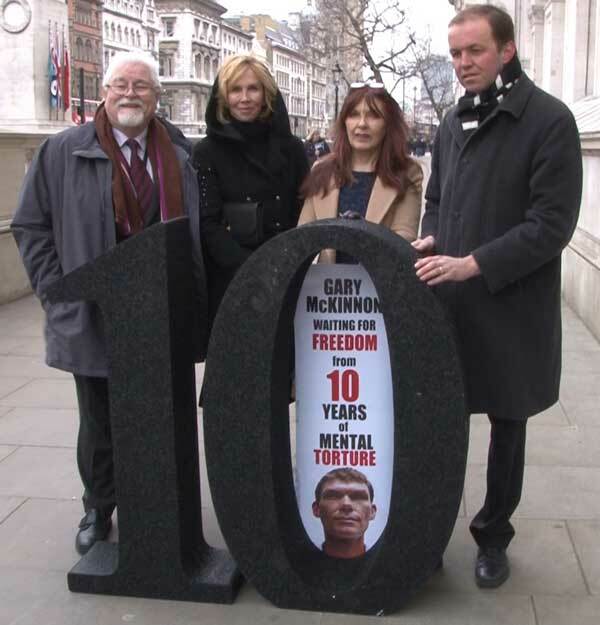 Saving Gary McKinnon is the true story of a mother’s fight to save her son from living out the rest of his life behind bars. The US judiciary had all the might of the world’s greatest power. But it had not reckoned on Gary’s mother.